Come see who is the Spelling master! 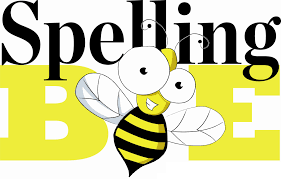 On Friday, February 8th Mrs. Williams and Mrs. Procotor will host the GES Spelling Bee. Qualifying students will participate. Students in 2nd and 3rd grade will compete at 9 AM. Students in 4th and 5th will compete later in the day at 1 PM. Families are invited. Please check in with the office upon arrival.